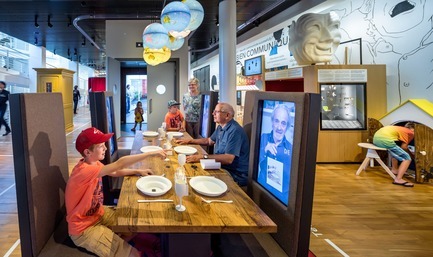 The Museum of Communication in Bern underwent a complete transformation as part of its recent renovation. 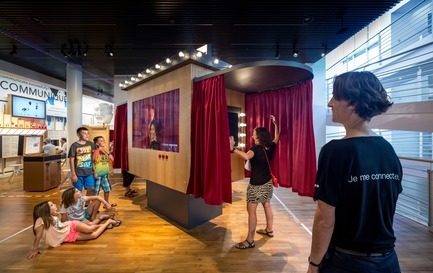 In the new permanent exhibition designed by Kossmann.dejong visitors delve into the fascinating, complex world of communication. 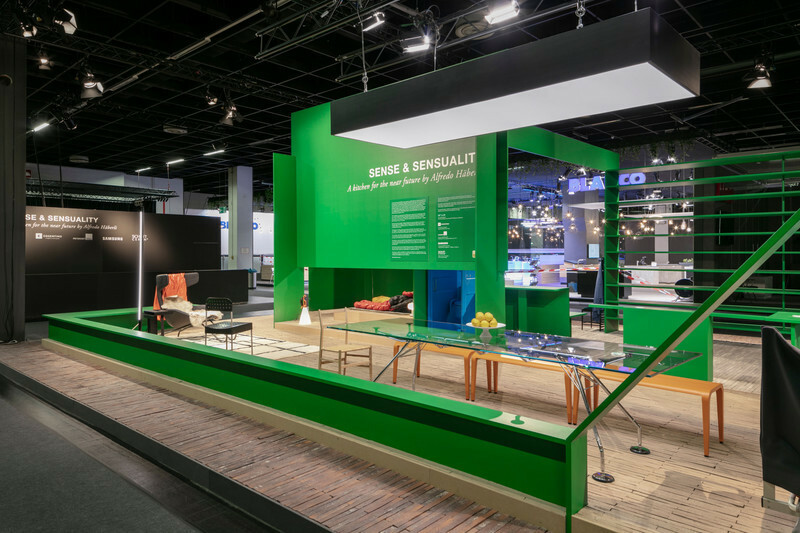 With exhibitions around the world from Iceland to China and clients including the Royal Shakespeare Company and Schiphol Airport Amsterdam, the Dutch design company Kossmann.dejong has built a strong international reputation in the design sector. 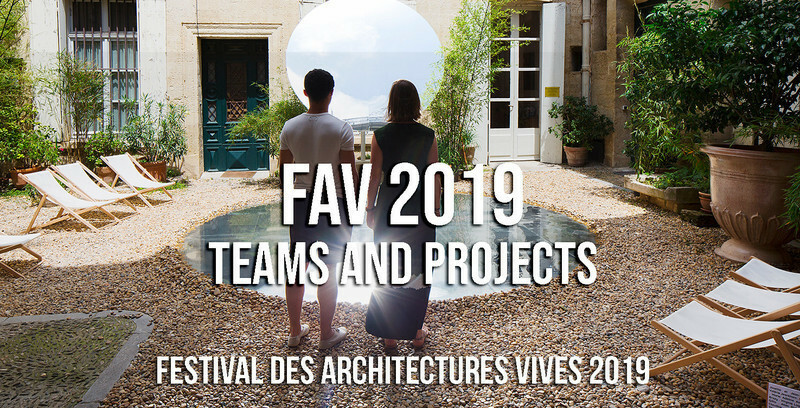 Recently their innovative design approach of transforming spaces into opportunities for stories and social connections got recognized by the prestigious American Architecture Prize 2017 Firm of the Year Award. 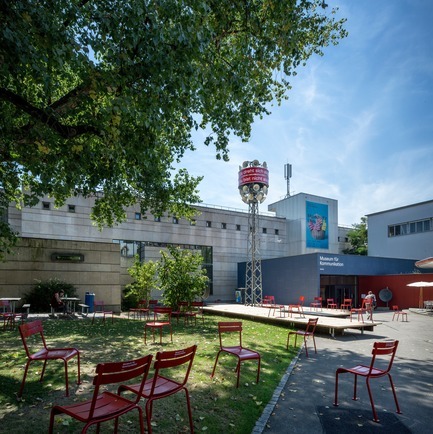 Now the practice expands its scope further with the Museum of Communication as its first project in Switzerland. 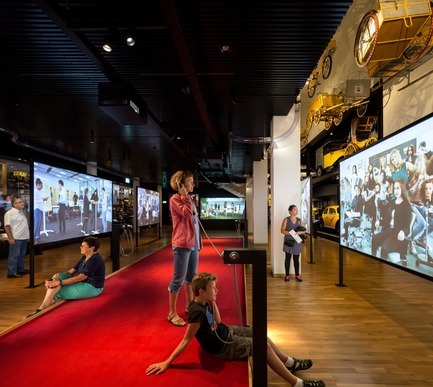 Through interactive displays, surprising objects, large-scale projections and museum staff in the role of “communicators” visitors are invited to explore the subject of communication in all its facets and, at the same time, apply it in real life. 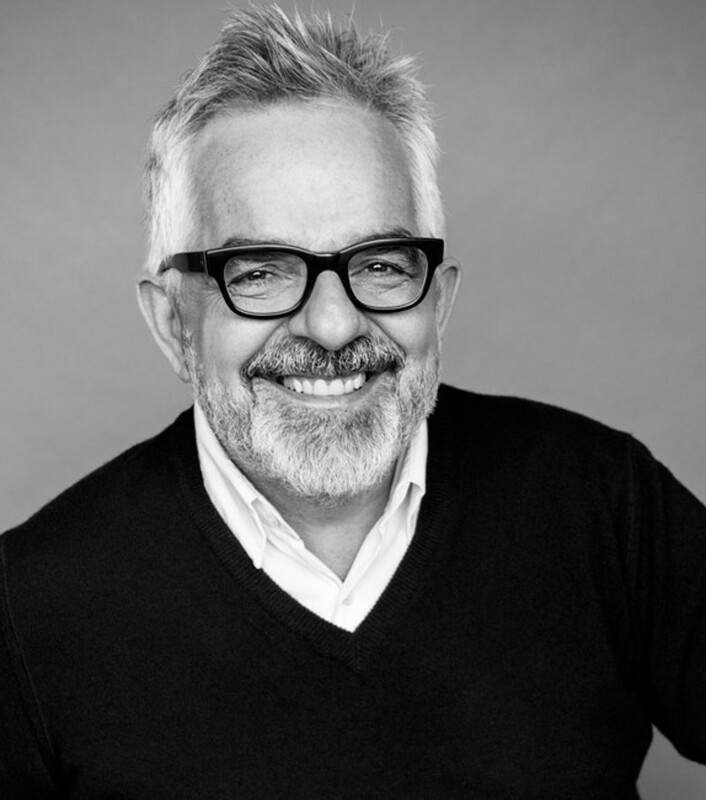 As experience experts, they become aware of their own communication, the influence of big data and the current communication revolution. 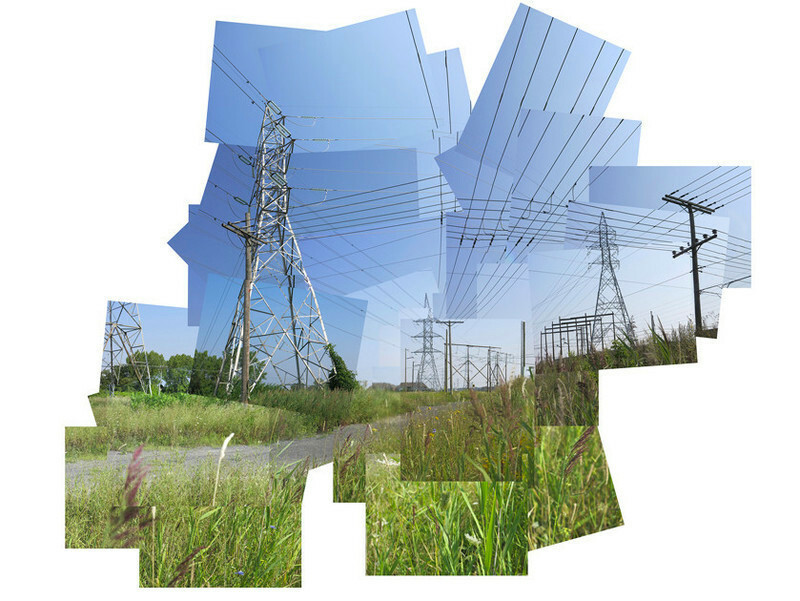 The main challenge involved spatially translating the abstract theme of “communication” into a coherent exhibition. 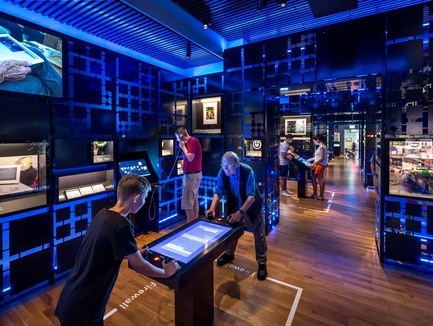 Nine key questions such as “Why do I communicate?”, “Which skills do I need to communicate?” and “How do I live in a fast-changing world of communication?” were formulated by an expert team from the museum, and form the starting point of the design concept. Kossmann.dejong clustered these questions into different themes spread across three floors in the building. 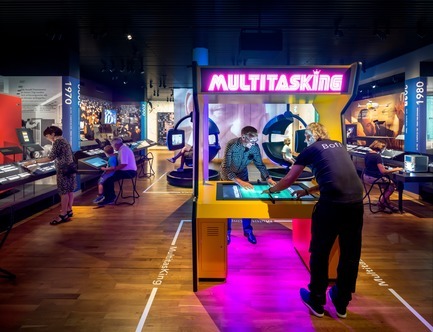 Perhaps the most important interactive elements in the new museum are the “communicators”: specially trained museum staff who assume the role of experts, guides and actors, but are foremost just regular people who engage with the visitors and encourage communication between them. The communicators ask questions, tell jokes or undertake challenges with visitors. 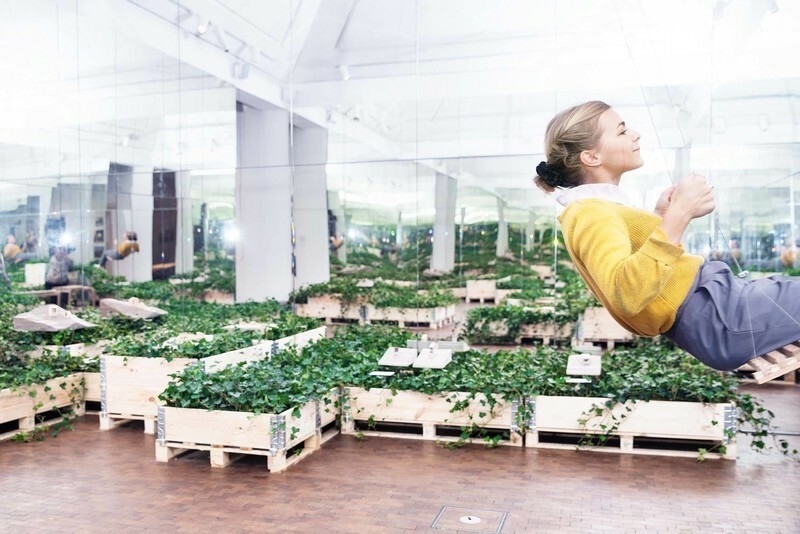 The exhibition scenography is designed to facilitate these interactions. The search for personal answers to the key questions begins on the ground floor at the registration area, where the message “It’s all about you” clearly sets the scene. 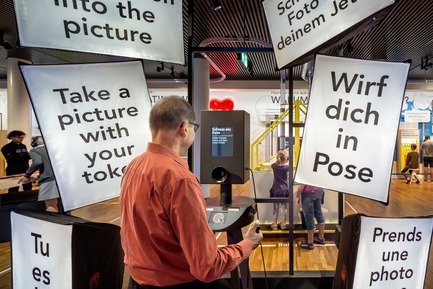 As an introduction to the exhibition, visitors step onto a red carpet where personal stories from Swiss citizens tell a chronological representation of communication throughout all stages of life. 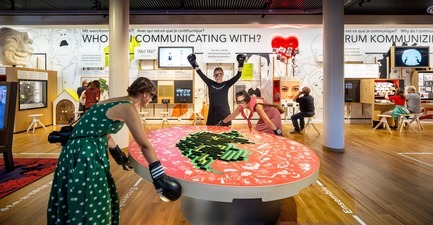 Simultaneously the red carpet visually connects a collage wall with unique artefacts on one side of the space with a communication lab on the other side. 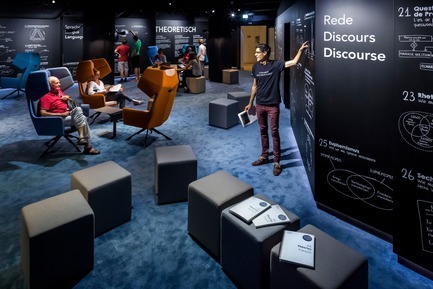 While the collage-wall offers an informative visual experience, the lab activates and connects visitors. Together they solve a puzzle, dine with strangers or act in a film scene. 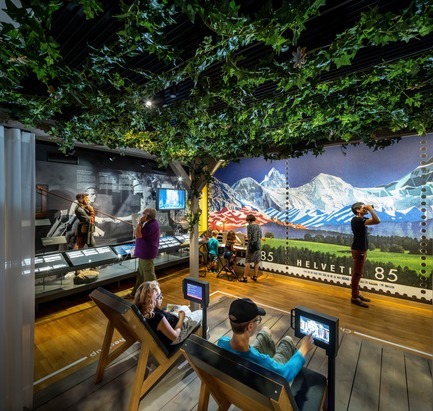 On the surrounding walls, visitors can explore the key questions more in-depth and participate in challenges with the communicators if they wish. Moving one floor below, visitors encounter the world of memories. 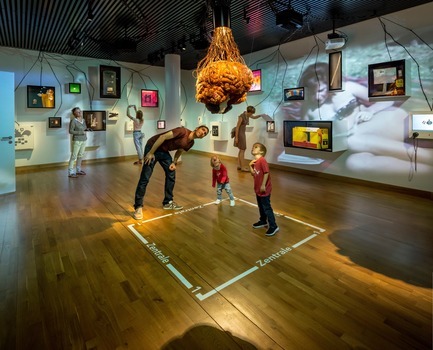 Emerging from a central sculpture of a brain is a tangle of nerve endings connected with memory boxes with films, hand-on elements and collection artefacts. Here, questions explore what and why we remember certain things. Which memories are evoked by certain colours or smells? 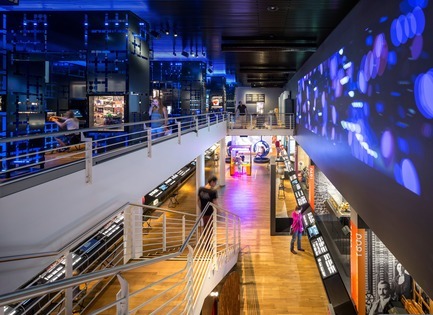 Designed as an abstract data centre, the adjacent themed area focuses on the complex developments of big data, privacy and the downside of our devices. Visitors experience the impact of shared networks and examine ethical questions about the value and apparent infinite availability of data storage. Here a large wall projection, created as part of a participatory project with students from the School of Design in Bern, depicts big data. The lowest floor takes visitors on a chronological journey through milestones of the communication revolution, from post coaches to drones. Images and quotes from the first users of the time provide context around the story. Integrated films and hands-on activities make visitors aware of the ongoing changes in communication tools and the associated emotions such as euphoria and fear. After a visionary glimpse into the future, the exciting journey of discovery into the communicating “self” concludes at the deregistration area. Every visitor hangs their profile photo on the huge photo wall here, creating an ever-changing artwork. It forms a visual metaphor of the exhibition’s focus: “It’s all about you, but you are not alone”. 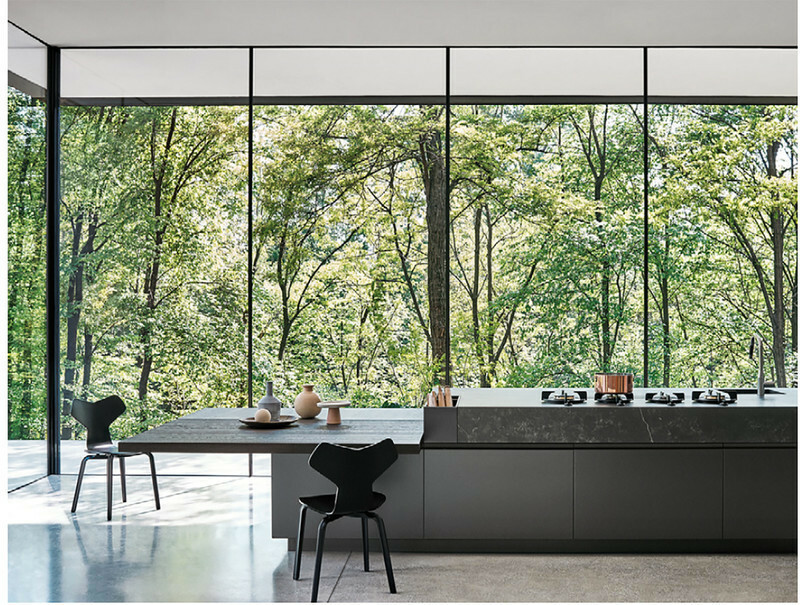 Kossmann.dejong is an international design studio specialising in exhibition design and interior architecture. 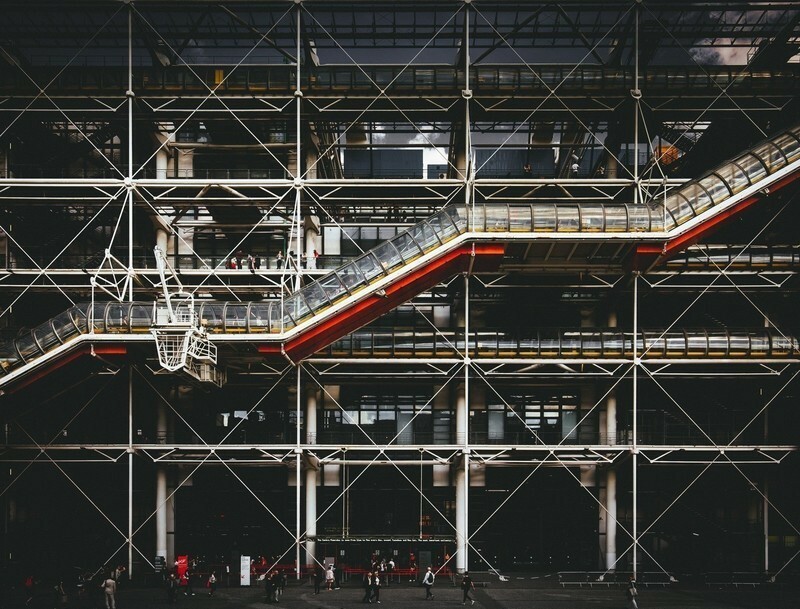 Their portfolio spans from temporary and permanent exhibitions for museums to visitor centres, historic sites, brand experiences and engaging interiors. 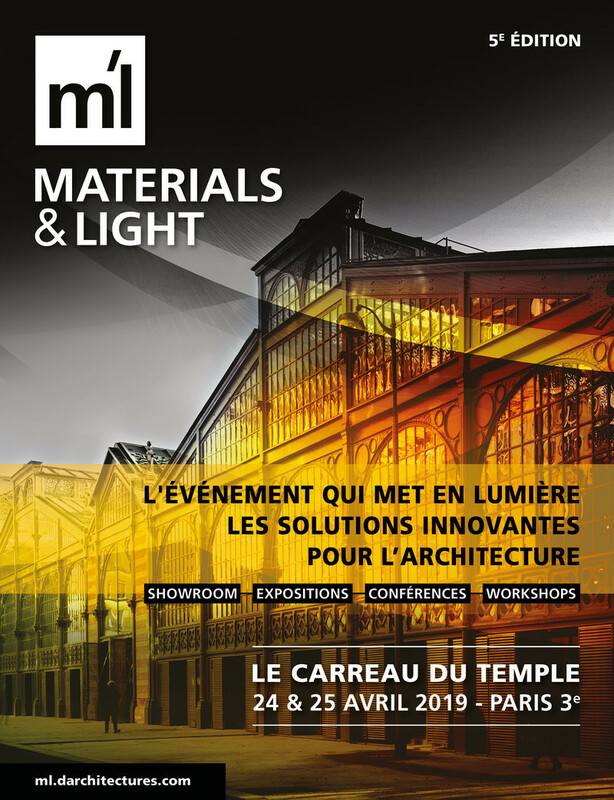 A connection between content and imagination is what characterises Kossmann.dejong’s design approach. 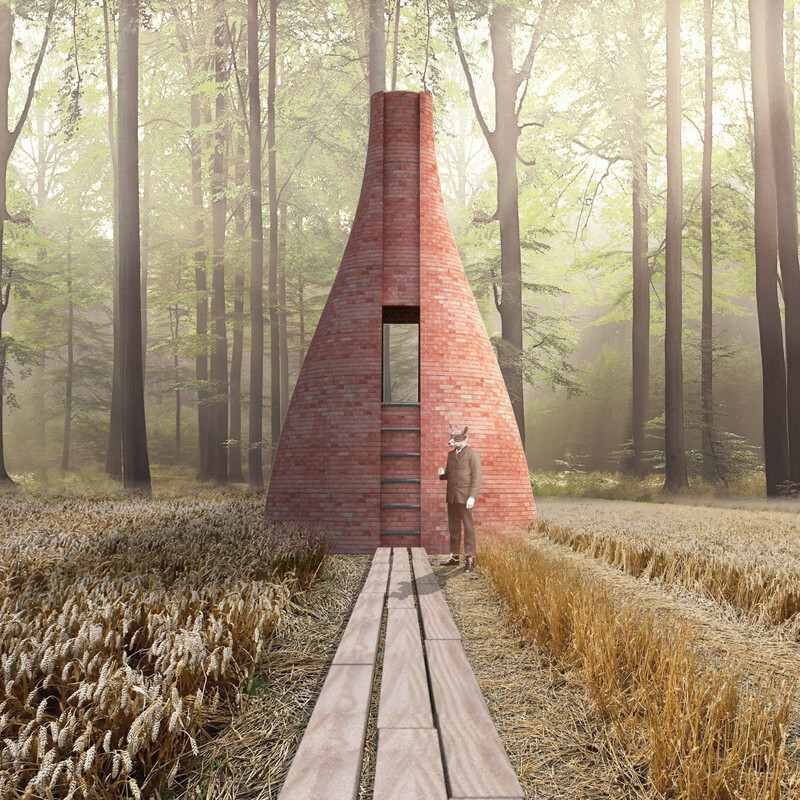 Through a combination of different media and collaboration across disciplines, they aim to design meaningful, narrative spaces that inspire visitors, appeal emotionally and provide lasting experiences.